Press Release | VEGA Wins "Automation App Award"
VEGA Wins "Automation App Award"
They’ve long been standard in the private sector. In the meantime, however, mobile apps are also taking over industrial automation. At this year's SPS IPC Drives, everyone was talking about these smart, user-friendly helpers within the context of the central theme “Industry 4.0.” After all, they are one of the keys to being able to read out sensors more flexibly and monitor them more reliably. For the sixth time, the trade magazine "elektrotechnik" selected the best automation apps at the world-leading trade fair. 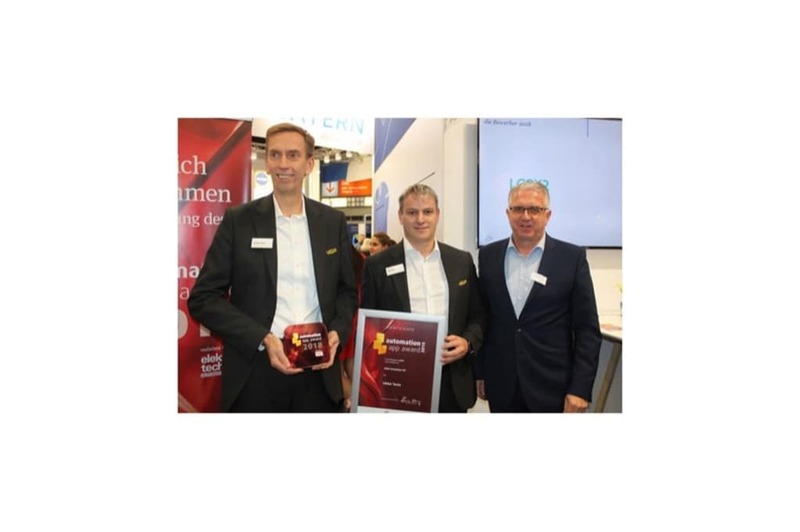 It bestowed its "Automation App Award" in the three categories App, Solution and Innovation and extended invitations to attend the award ceremony at the booth of Vogel Communications Group. "VEGA Tools" is a practical tool that makes wireless setup, display and diagnosis over distances of up to 25 metres considerably easier for all Bluetooth-capable VEGA sensors"
Wireless operation makes the connection faster and the range greater. The jury especially honoured the user-friendly, intuitive "usability" of the app and the extra bit of security that can be achieved with it. Wireless connection makes instrument adjustment and operation easy even on high tanks and in hard-to-reach areas. VEGA Tools can reach more than 80 different VEGA sensors via Bluetooth. Because the modular display is where Bluetooth is optionally integrated, it can be retrofitted as a universal VEGA-instrument component with just one "click", even on older sensors, this means that: Bluetooth, and therefore the App, are backward compatible with VEGA instruments as early as 2002. Together with the winners in the categories Solution and Innovation, who turned out to be the two big companies AUDI and Siemens, VEGA product managers Holger Sack and Ralf Höll proudly accepted the award: "This definitely motivates us to do more," they said. VEGA Grieshaber KG is a global manufacturer of process instrumentation. Its product portfolio includes sensors for measurement of level, point level, pressure as well as equipment and software for integration into process control systems.